MarketsandMarkets forecasts the global mobile marketing market to grow from USD 28.63 billion in 2016 to USD 98.85 billion by 2021, at a Compound Annual Growth Rate (CAGR) of 28.1%. The mobile marketing market is growing rapidly because of the increasing number of mobile phone users, availability of high internet speed, and increasing usage of mobile web and mobile applications. The APAC region is expected to be the largest revenue generator region for mobile marketing vendors for the next five years, followed by North America. The region of APAC is a highly receptive market with continual development in the mobile marketing technology, which is further enhanced with ongoing large-scale adoption of mobile marketing solutions. Increase in smartphone penetration, availability of mobile internet, more use of mobile applications and mobile web, and introduction of 4G network by the carriers, are some of the factors driving the mobile marketing market in APAC. APAC is also expected to contribute more than 50% of all new connections between now and 2021. Latin America is the fastest growing region in mobile marketing. Mobile internet usage in the region has been growing largely due to mobile device adoption and growth of the middle class society. The study validates the market size of segments and sub-segments through secondary research and in-depth primary interviews. Various industry leaders in Tier 1, Tier 2, and Tier 3 companies were contacted for primary interviews. The in-depth interviews were conducted with CEOs, marketing directors, other innovation and technology directors, and executives from various key organizations operating in the mobile marketing marketplace. The report includes the study of key players offering mobile marketing solutions and services: SAP SE (Germany), IBM (New Yok), AT&T (Texas), Salesforce (California), Adobe Systems (California), Oracle (California), SAS (North Carolina), Mobivity Holdings (California), Salmat (Australia), and Vibes Media (Chicago). Furthermore, the report also includes in-depth competitive analysis of the key players in the mobile marketing market, with their company profiles, SWOT analysis, recent developments, and key market strategies. This report segments the market into various sub-segments, covering this market comprehensively. The report provides the closest approximations of the revenue numbers for the overall market and the subsegments. The market numbers are further split across different end-users and regions. This report will help in the better understanding of the competitors and gain more insights to better one’s position in the market. There is a separate section on competitive landscape, which includes competitor ecosystem, mergers and acquisitions, integrations and expansions, and collaborations of various market vendors. Besides, there are company profiles of ten players in this market. In this section, market internals are provided that can put one ahead of the competitors. The report also helps in understanding the overall growth of the market. 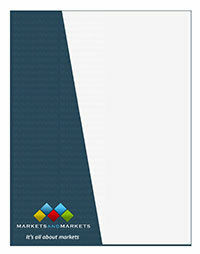 It provides information on key market drivers, restraints, challenges, and opportunities.